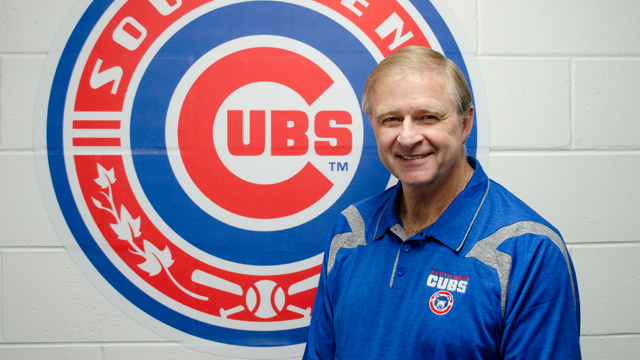 The 44-year broadcasting veteran will join the team for the 2015 season. SOUTH BEND, Ind. - After a three month search, the South Bend Cubs have announced Jon Thompson as the new Public Address Announcer for the 2015 season. He will begin his tenure on Opening Day at Four Winds Field on April 9, 2015. Thompson is the host of "JT in the Morning" on News and Sports Radio 96.1 FM and 960 AM WSBT and has hosted the Michiana morning show for nearly 40 years. He is also the Announcer for the Fighting Irish Marching Band of the University of Notre Dame. In his spare time, Thompson is a professional baseball umpire and has officiated for nearly 25 years including games played at Four Winds Field. While Thompson will serve as the primary announcer, Niles native Michael Morrison, who had the most number of likes on his YouTube audition, will also have the opportunity to announce games during the 2015 season. Former Silver Hawks PA Announcer Gregg Sims will also return for a limited number of games including the exhibition contest between the South Bend Cubs and The University of Notre Dame, while Thompson, along with fellow official Scott Siler, will umpire the 7-inning affair. The South Bend Cubs are a Class-A minor league team affiliated with the Chicago Cubs. Through the past 27 seasons, the team has won five Midwest League titles, most recently in 2005, and captured 12 division titles. The team is owned and operated by Swing-Batter-Swing, LLC, whose sole shareholder is Andrew T. Berlin of Chicago. Opening Day is on April 9, 2015.